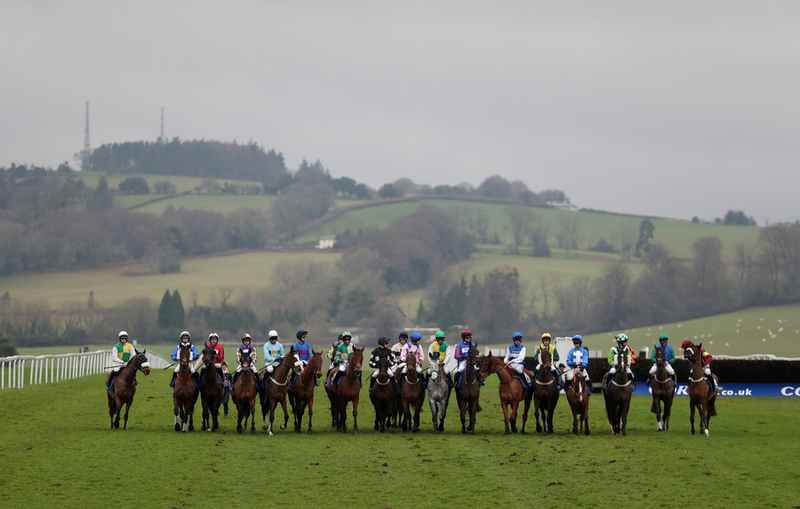 The first horse of the Stats Accumulator with Sky Bet today comes from the last contest at Bangor in the Class 5 national hunt flat race over 2 miles 1/2 furlong and our selection is the P M J Doyle trained Epalo De La Thinte. This four year old has only had one start to date and it was a satisfactory fourth in a Irish point maiden just over two weeks ago. This youngster could be one to watch for the future. Another bonus going for the horse today is that Davy Russell travels from Ireland for just one ride at Bangor on board this horse, which must mean they are serious about him. Russell and train P M J Doyle when working together this year have never lost posing a 100 percent strike rate and they will be looking keep that record today. The second horse of todays bet comes from Wales again but this time at Chepstow and in another Class 5 national hunt flat race, this time over 2 miles. Our selection to place in this contest is the Oliver Sherwood trained Westbury. This four year old is very new to racing and has only had one start in another bumper at Huntingdon earlier in the year, he looks to be a very useful type and can go well after a layoff. His trainer Oliver Sherwood is currently in a rich vein of form having four winners out of his last 8 runners over the past 14 days. With this, for October he is posing a 41.87 strike rate, which can be added to today. The penultimate horse of the bet today comes from Wolverhampton on the all weather surface in the Class 6 handicap over 5 furlongs and we have picked Midnight Guest trained by George Margarson to finish in the top three. This three year old has been frequently ran this season but for the most part has been consistent and at the moment is in a good run of form winning two of his last three races over this distance. His trainer George Margarson has a cracking record at this track over the last year with a strike rate of 27.27 percent with his runners. With that, he has a really stellar October and his yard is operating at a strike rate of 33.33 percent for the month. 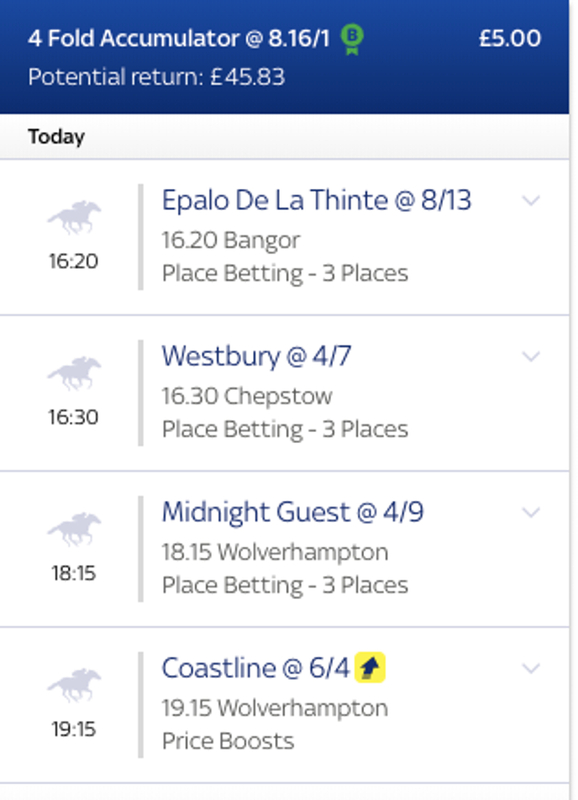 The final selection of the day for the Stats Accumulator with Sky Bet is back at Wolverhampton in the Class 5 novice contest over 6 furlongs and we have selected Coastline to go and win to land the bet. This two year old trained by James Tate has only had one start to date and she looked to be a really smart prospect for the yard with a good second to a subsequent winner again at Newcastle. She is really well drawn today and primed to go close. Her owner Sheikh Juma Dalmock Al Maktoum has a brilliant record over the past year at Wolverhampton racecourse having nine runners go to post with five winning and one other placing. This equals out at a strike rate of 55.56 percent.